Every year on Valentines Day, Easter and Halloween I like to ﻿put together a little basket of goodies for each of my girls. 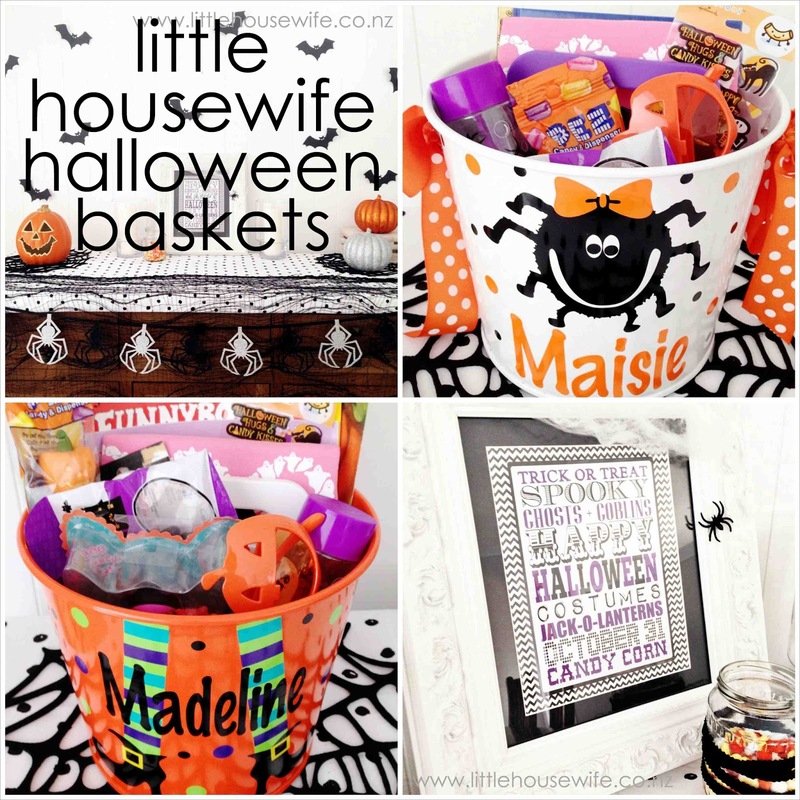 Each basket contains a few little, inexpensive themed items that I gather in my travels. I try to include a book, an activity book, stickers or craft kit, a dvd, pyjamas and a few small, cheap novelty items - all in theme with the event. It's usually the cheapest novelty items which the girls love the most! 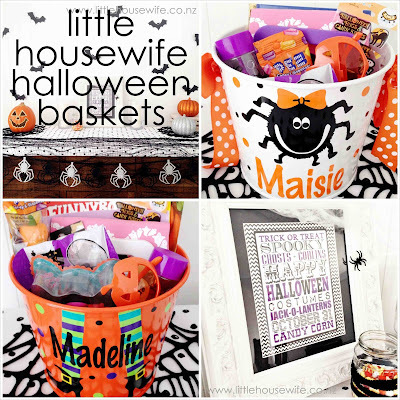 I usually share pictures of the baskets on social media and people always ask what I put in them so here is a flatlay of each of the girls Halloween baskets. Here is a list of the other Halloween themed books that my girls like to read at this time of year. We also did a bit of Halloween decorating to the dresser in our dining room this year.